Teri Flat Wallet is a slim design that fits easily into a back pocket or hip bag! 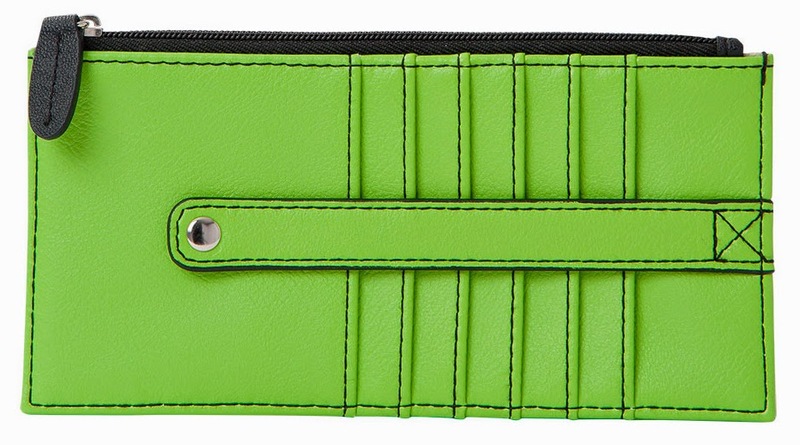 Smooth faux leather in bright kiwi green with black contrast stitching and zipper pulls. Interior is lined with black fabric. 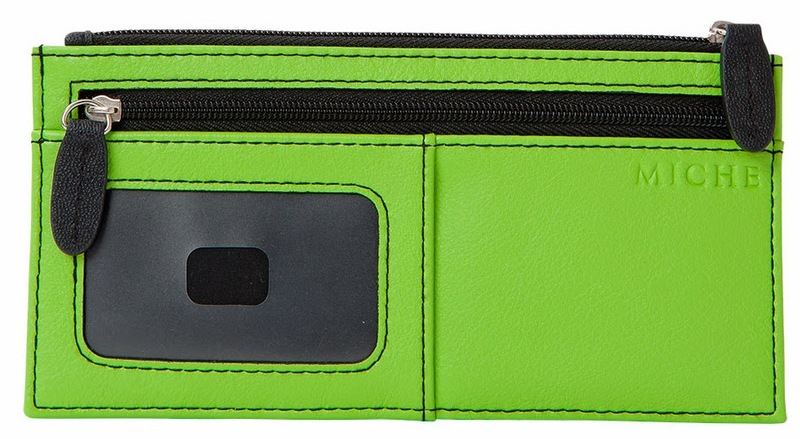 This wallet features two (2) zippered pockets, ID slot and six (6) card slots with snap-closure security strap. Silver hardware. Dimensions: 6 ¾” x 3 ¼”.